Search engine optimization is a tricky subject because there are lots of bases to cover. From choosing the right keywords and phrases to localizing content, it’s often overwhelming. To throw punctuation into the mix is only another potential hurdle. Not only is it time-consuming, but lots of people don’t know how to use it correctly so it’s a waste of effort and energy. At least, that’s how some people see it yet the truth is that punctuation is incredibly powerful when used properly. Google, in particular, treats commas, colons, and hashtags with the respect they deserve. The same goes for pretty much every search engine on the Web. Still, optimizing your content so that it is grammatically correct isn’t the answer. Funnily enough, not every piece of punctuation adds value according to the SEO algorithms, and some even take points away from a site’s ranking. It’s obvious that search engines haven’t been entirely clear about what’s acceptable and what isn’t, and that’s problematic. Misuse something or use something that has no value and it isn’t going to get you the results you want. With that in mind, you may want to take a look at the following. Here are six tips which will come in handy regarding SEO and punctuation. As always, the first thing to point out is that Google ranks content based on its value. Posts, videos, and images that aren’t optimized well will struggle to get onto the first page of results rankings regardless of grammar. As a rule, search engines will prioritize the highest quality findings which is why it’s important to focus on what you can offer to your audience. Of course, grammar plays a massive part in crafting tailor-made, world-class posts. Anything which reads poorly will have a high bounce rate and get a negative rating - readers are sticklers for typos and the flow of the content. So, within the body of the text, you should always emphasize writing articles that are easy to read. That includes using stops at the end of sentences and commas to break up the content. Stay away from the tricky stuff if you’re not sure how it works. The best example is a semi-colon as not everyone understands when and where it should go; for example, it isn’t a substitute for a period. Stick to the basics and try to be as on point as possible grammar-wise. One of the great things about search engine optimization is that it applies to everything. A video which has metadata can be optimized so that it ranks highly on SERPs and boosts your traffic and reputation. The same goes for a picture or a description of the content on your platform. Neat tricks like these help small businesses and relatively unknown bloggers level the playing field. However, it’s a gift and a curse because it’s tempting to think that punctuation applies across the board. It doesn’t as URLs don’t fall into this category for the most part. Any domain name that tries to include a question or exclamation mark will get docked points or won’t have any impact. The reason for this is that punctuation such as the latter is ignored or is viewed as “code” language and makes no sense. If you do want to add punctuation, it’s clear that the only things Google allows are hyphens and underscores. Because they separate words, they make it easier for users to distinguish the text, so they automatically add value. You can find out more about punctuation within URLs that are not ignored by checking out this post. URLs and titles don’t follow the same rules. Punctuation marks that aren’t allowed or are ignored within a domain name are accepted in the title of a post. This is because every word means something (or it should) and punctuation helps to influence results. Hyphens are one of the most popular pieces of grammar but don’t forget about pipes and colons either. By using them properly, you can split the title in two and optimize the page to great effect. However, the basic rules of SEO still apply. That means you need to avoid grammar stuffing at all costs. A title such as "SEO 2019: What to Look for This Year" is perfectly fine whereas "SEO|2019|What to Look for This Year" is clunky. It doesn’t read well and it’s an obvious attempt to stuff keywords into the title, which Google hates. If you are going to use grammatically correct titles, make sure they are organic. The ones that don’t look natural are instantly picked out and put to the bottom of the pile. It’s the same for keywords and phrase within the main body of the text, so treat your titles like your content. 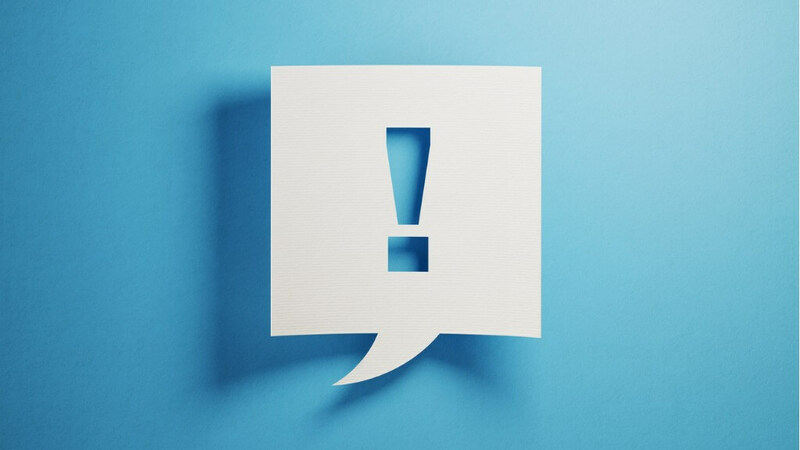 A tip: exclamation marks are ignored, as is @, so don’t waste your time trying to fit them into your titles. Google doesn’t care. Let’s not forget about the importance of punctuation marks within search parameters. Some punctuation marks are crucial when it comes to defining what you are looking for in the results pages. Think about a camera for example. You type in “Canon 650” and get results for the 650 model of Canon’s latest camera. However, what you wanted were posts that helped you choose a camera that was $650 or under. In this case, the dollar sign makes a massive difference to the user which is why it’s not ignored. Anything that will give different SERPs is going to be monitored by search engines. With that in mind, it’s essential to define your content by using the relevant punctuation marks. If you’re talking about a specific make or model, type the number and nothing else. However, if it’s price-related, there should be a currency sign whichever one that may be. This applies to percentages too. Another thing to watch out for is computer language. The likes of C++ and C# are forms of programming code that have a specific mean. Therefore, they are not ignored either and it’s important to keep this in mind. If you do happen to use code within your posts, remember that Google will rank it for something other than the desired purpose. You may want to find a new way of writing it or use brackets. If the content is well defined, it shouldn’t be too much of a problem as it will be easy to understand in context. Punctuation is like a keyword in many respects. Firstly, you have to do your research and find the right phrases that will rank or else you won’t raise awareness of the brand. This SEO and web solutions page can help if you need inspiration regarding your creation plan and using longtail keywords. As the advice above has pointed out, the use of grammar is the same because you need to know what’s ignored and what’s accepted. Greed is another aspect of keywords and punctuation marks where there is a similarity. To this day, people stuff content, titles, tags and metadata with as many phrases as possible to rank highly on SERPs. Of course, Google is well aware of this tactic and its algorithm screens the sites and posts that are inorganic. Search engines do the same for overuse of punctuation too. Platforms that try to use grammar to rank above the competition will suffer if it’s not natural and makes the content too hard to read. An excellent piece of advice to keep in mind is to create content for the audience first and search engines second. That way, you won’t be tempted to stuff commas and periods and hyphens into as many nooks and crannies as possible and ruin the flow. Anything excessive isn’t going to get the attention of Google, at least not in a positive sense. There is no way to mention SEO without talking about social media. Platforms such as Twitter, Instagram and Facebook are rewriting the way people interact. From an added value perspective, it’s important to rank the sites and posts which utilize them. So, links and use of embedded posts are very important when used correctly. And, so are punctuation marks that relate to social media sites. The two main ones are the ampersand and the hashtag. Through popular culture, these are now synonymous with tweets as well as ‘Gram and FB posts. While they aren’t useful within URLs and titles, they are accepted within the body of the text. After all, they point to a trend of a movement which the reader may want to know about and research. At the moment, #MeToo is probably the most transformative example. To make sure they rank highly, it’s all about relevancy and engagement. Once a hashtag or an ampersand is included, you need to focus on getting retweets and backlinks. Yes, punctuation is an essential part of SEO. However, it’s a tool that you should use to compliment your strategy and not as a shortcut to success.